Do you have an old obsolete gearbox? Is your current supplier too expensive? Is the current delivery too long? If you want an alternative price, or a better delivery time, then our design team will be happy to help. We can offer alternative units to your existing drive. We also have direct dealings with manufacturers in Italy, Germany, France and Spain (as well as the rest of the world) so there are no language barriers or foreign payment barriers for you to worry about. Our range of Industrial Gearboxes includes Bevel Gearboxes, Helical Gearboxes, Worm Gearboxes available in single, double and triple reduction. Shaft Mounted Speed Reducers and Variable Speed Gearboxes. We are also able to repair, recondition or supply spare parts including gears cut to sample or drawing. We can supply a comprehensive range of standard stock gears which, coupled with the capability to supply on short lead times custom designed gears, provides the design engineer with a wide spectrum of solutions from which to select open gear drives. Straight Cut Bevel and Mitre Gears manufactured to the Modul system in medium carbon steels enable simple right angle drives with reduction ratios up to 4:1. Two series of gears are offered, the first the original T.D. Cross range to imperial dimensions from 16DP to 5DP pitch, the second a much improved metric range of gears from 1 Mod. to 5 Mod. pitch. All gears can be induction or flame hardened for longer life under arduous conditions. A new range of 20° PA. spur gears all manufactured in medium carbon steel, provide selection from 1 Mod. through to 6 Mod. pitch with gears from 12 teeth to 120 teeth. Gears have face width equal to ten times Mod. number to provide sensible power transmission capability. To supplement the steel gears is a select range of cast iron wheels covering pitch range 2 Mod. to 5 Mod.with 30 to 60 tooth size. Available in standard lengths of 05, 1.0 and 2.0 metres is a range of 20° PA straight cut racks with pitch range 1 Mod. to 6 Mod. 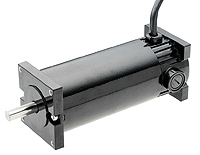 These are designed to combine with the standard spur gears to provide low cost conversion of rotary to linear motion. Straight cut gears to the Modul System up to 250mm diameter, available in a variety of materials. In diametral or module pitch available in most sizes both 14.1/2° and 20° pressure angle up to a maximum top diameter of 56 inches in a variety of materials. With helix angles up to 45 ° maximum O/D of up to 13 inches. With helix angles up to 30 ° maximum O/D of over 13 inches to 56 inches. Top diameter 56 inches, maximum face width 9.1/2 inches. Racks in Module or Diametral (DP) pitch can be supplied up to a maximum length of 2 metres and face width 95 mm. Maximum pitch 12 Mod, 3 D.P. Minimum pitch 0.5 Mod, 120 D.P. Involute, flat root, or fillet root splines and serrations can be cut on machined shafts or customer blanks. Account facilities available on request. Bevel, helical and worm gearboxes are available from the following manufacturers. If you can't see the gearbox manufacturer you are looking for, then please contact us.